We met at Providence College during our freshman year, married, and moved to New York City before moving to Allendale, New Jersey to raise our three daughters. We enjoy supporting our favorite teams (the Mets, Jets and Providence College Friars) and attending games. 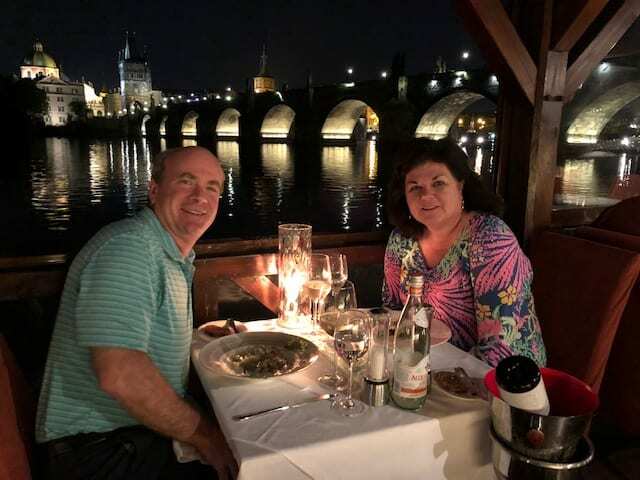 In our free time, we have begun to plan more travel excursions in the U.S. and abroad and have recently enjoyed visiting Ireland, Budapest and Prague. We look forward to spending our time with good friends and family as we continue to plan for an exciting future. We both grew up on Long Island and each have early recollections of why we are passionate about helping our clients. These two stories help illustrate early moments from our childhood that resulted in our desire to help others plan for their future. I had a newspaper delivery route when I was 10 years old delivering the “Long Island Press” and on Fridays I would collect the week’s newspaper cost. One day, the newspaper announced that they would be increasing the cost of the weekly delivery from 90 cents to 1 dollar. Several of my older customers would give me a dollar to include a 10-cent tip. However, I can still recall arriving at the first stop of this Friday – the home of a friendly elderly woman. I can still remember her pained expression as I approached the door. She stated that she knew that the newspaper had increased the price to 1 dollar for the week, but unfortunately wasn’t able to give me anything more than the $1. So no tip. She informed me that she was being crushed by the ever-increasing cost of everything that she needed to purchase every day. She could not keep up with the inflation. This episode occurred a few times that Friday afternoon. On behalf of your 85-year old self and all remaining paperboys everywhere, plan ahead for the need for lifestyle-sustaining income to allow you to sustain your current lifestyle. My Nana was a beautiful, funny and compassionate woman who lived with my family and had a positive impact on all. She was blessed with a home, no major expenses, and many loved ones surrounding her until the day she died. I think back to her life occasionally when speaking to people about retirement. My Nana received a social security check and each month my father would cash her check and give her the money in an envelope. The envelope would be taken to her room and disappear into one of her many dresser drawers. Several years later, my father asked her if he could go through her dresser and collect the money. She agreed, and to everyone’s surprise, the sum was quite staggering! Then she set aside the money to pay for college for her five grandchildren and even helped me attend a private college. I sometimes wonder what that large sum of money could have amounted to if it had been invested wisely for all those years. She did not need to be concerned about her living expenses or keeping up with rising costs. If she did, then she may not have been able to sustain her lifestyle and may have run out of income. Today when planning for your own retirement, keeping cash in your bedroom drawers is not recommended.